The Putnam-Montgomery Nonprofit Learning Series represents an innovative partnership between the Community Foundations located in Putnam and Montgomery Counties, in collaboration with Indiana United Ways. The series is unique in that the February to May sessions are held in Crawfordsville, and the August through November sessions are held in Greencastle. This approach welcomes participants from both counties, and surrounding areas, and provides networking and peer-to-peer learning that might not otherwise exist. This year's series is built around the Steven Covey's The 7 Habits of Highly Effective People and is meant to help you deepen your nonprofit professional skill set by combining theory, practice, and a layered learning approach to every session. What is the cost? Register for all 8 sessions for $100, or register for sessions individually at a cost of $15 per session. All sessions can be paid for in advance by credit card or Paypal through the online system by following the registration buttons below. What are the dates and times? All sessions begin promptly at 11:00 a.m.. We recommend you arrive 10-30 minutes early to check in, get coffee, and get a good seat. We break for lunch at approximately noon, and resume at 12:30 p.m. (although some lunch periods may be working sessions). Sessions conclude at 2:00 p.m.
How do I use this online registration system? This system functions just like an online shopping cart from your favorite store: make your selection(s) and load your cart. To "check out," you'll go to your cart (there will be a yellow square that says "cart" in the upper right hand corner of your screen) and follow the prompts to pay. When you've completed the transaction, you'll get a confirmation email Note that if you select the "Series Package Option" (meaning purchasing all the sessions in a series at one time), you will fill out your registration form as part of your check-out process. If you want to purchase one or some of the sessions, you will complete and submit your registration form in order to get the link to load your shopping cart. If you run into problems or just want someone to help walk you through the steps, give us a call at 317-660-8409! Effective leaders are visionaries who inspire others to bring their best to the game. Irrespective of your leadership experience, this session will bring a fresh perspective by exploring the universal traits strong leaders share and giving you the tools to create a personal power plan. 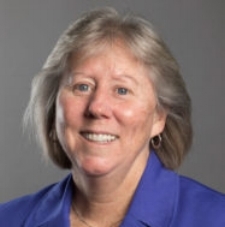 About Susan Susan Decker serves as a senior governance consultant for BoardSource in Washington, D.C. She also is the Director of the Master of Leadership Development program at Saint Mary-of-the-Woods College. Susan has extensive experience in nonprofit governance, management and fundraising at the national and local level. She conducts training and consulting on nonprofit board governance, fundraising, and leadership for a wide range of nonprofit organizations, and has particular expertise in facilitating board retreats and strategic planning. Good marketing is more than a slick ad or a well-placed billboard; it takes messaging that resonates and intentionality. Not a how-to, but a hands-on, this session will walk you through creating a realistic marketing and communications schedule that your organization can actually execute. About Leslie Leslie is an accredited public relations strategist with extensive experience in all facets of marketing communications. She consistently uses research and data to help global clients develop strategy, craft brand identities, sell complex products and build lifetime customer relationships. With the launch of her bold, new venture, Magenta Marketing Communications, she collaborates with businesses and nonprofits outside the manufacturing sector, blending fresh ideas with proven strategies that make lives better. While the money your organization raises or the number of people who benefit from your services is important, the difference you make is the metric that will really make yours a stand out organization! Learn simple but powerful ways to evaluate impact and communicate it to others. 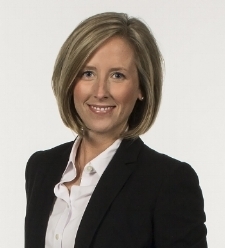 About Laura Laura is a firm believer in the importance of relationship-building to furthering important causes and has worked with a variety of philanthropic leaders to help them utilize their connections to make a difference in their communities. In her time with higher education philanthropy and as a nonprofit leader herself, Laura managed fund development projects amounting to more than $42M and has personally been involved with closing over $19M in philanthropic gifts. Currently, Laura consults privately with small nonprofits to develop plans for advancing their fundraising and communications efforts. Have you sat through strategy session after strategy session only to have your strategic plan end up as a door stop? Dust it off, give it a re-read, then join us to get real advice about how to actually implement your strategic plan and see some results! Are nonprofit finances a mystery? Is planned giving baffling? This session is dedicated to unraveling the language on nonprofit finance, exploring planned giving and endowments, and interpreting financial documents and reports for sound decision making. Learn how to evaluate funding sources based on the costs and benefits associated with them! About Bill Before becoming the director of The Fund Raising School, Bill served for many years as the president and CEO of the Indiana Youth Institute. Bill, who also serves as a senior lecturer in Philanthropic Studies on behalf of Indiana University, has been distinguished as a "Next Generation Leader" by the Rockefeller Foundation, presented at the White House Conference on Helping America's Youth, and was named a "Sagamore of the Wabash" by the Office of the Governor of Indiana. Paperless is here to stay. Yet, few nonprofits have the technical know-how or funds for state-of-the-art technology to protect digital data. At the same time, we are legally obligated to protect sensitive information. The question, then, is: in the age of ransomware, malware, and limited IT dollars, how should nonprofits respond? Board best practices aren’t just for newbies! Whether you’re new to a board of directors or have served for years, this session is a great way to get a handle on what’s expected, how board service looks different today compared to even just a decade ago, and map your personal board journey. About Lanton Lanton is a visionary leader committed to growing and developing both the programs and people with whom he works. A presence with Kiwanis International since 2002, his role as Area Director can best be described as that of political strategist-meets-corporate trainer-meets governance expert. 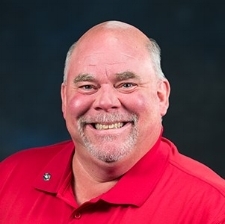 He travels throughout the Mid-Central region of the U.S., advising regional Kiwanis leadership on board governance best practices, strategies to enhance and strengthen membership, and effectively engage the community to improve the lives of children and youth. Lanton holds an MBA from the University of Cincinnati and a Bachelor of Business Administration degree from The Ohio State University. Keeping board, staff, and stakeholders engaged is easier than you think; but it does take planning and intentionality. Join us to find out how to keep people motivated and excited about your mission. Learn how to make way for new ideas while preserving tradition. About Lori As the former Vice President of Operations for the Clabber Girl Corporation and the Senior Vice President and Corporate Marketing Director for Old National Bancorp, Lori brings an incredible level of expertise in the areas of strategic planning, marketing, brand management, and leadership development. As both a consultant who assists organizations in realizing their vision and a board member herself, she has a unique perspective on board engagement. Currently, Lori serves as the Board of Trustees Chair for Ivy Tech Community College - Terre Haute, Executive Board and Strategic Planning Chair for the Terre Haute Chamber of Commerce, President of the Board for the Vigo County Education Foundation, President of the Board for Camp Navigate, Board Director for Art Spaces, and Board Member for Launch, Terre Haute.